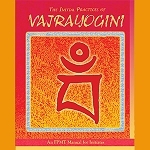 This practice is out of print. Order the PDF format here. 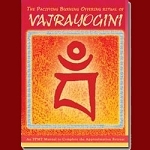 The Intermediate Practices of Vajrayogini: Intended for the use of those who have completed an approximation retreat enabling the activities and the accompanying subsequent pacifying burning offering. 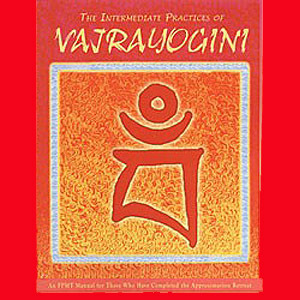 This volume makes available the complete self-empowerment ritual, together with practice and set-up instructions. 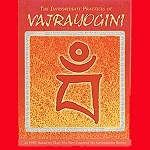 A practitioner’s ability to perform regular self-initiation practice during this lifetime is essential to engaging in deep purification of the mind, especially in preparation for, at the very least, a positive death and future rebirth, or even better, for achieving the pure land of Vajrayogini herself, Khachö, in this life, at death, in the bardo, or in one’s next life. In addition, the self-empowerment of Vajrayogini is simple to perform, compared with the self-initiation rites of many other Maha-anuttara Yoga Tantra deities. For this reason, it is highly appropriate for practitioners in these degenerate times, when time is short and the ease of practice can greatly help us to keep our tantric commitments. Spiral binding. 285 pages, 2010 edition.